What fun! This 3-metre length of quality Foil Star Christmas Garland is sure to bring a festive touch to your home during the holidays. 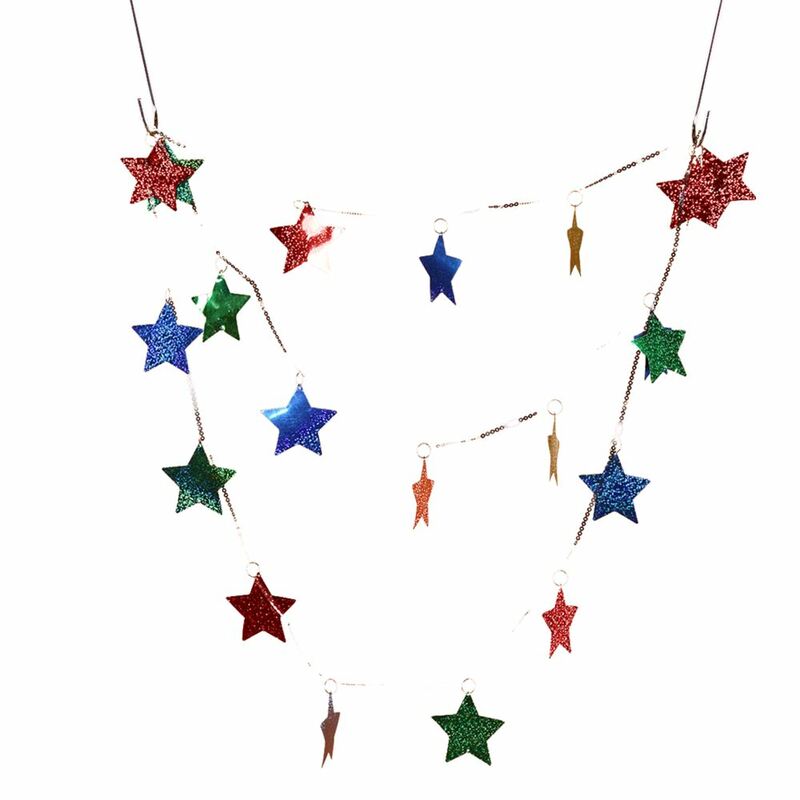 Each unique garland is comprised by a series of small foil stars connected with metal rings. This makes it a breeze to hang, drape, or suspend anywhere that you want to bring a clever and starry touch in or out of your home. The stars vary in size and style, and are all fashioned from vibrant red and green foil to give them a shiny and sparkly effect. Enjoy this for your Christmas parties and holiday gatherings, or use this to create decorative accents around your home. Trim windows, doorways, and the family Christmas tree with this exquisite garland. The star has distinction, particularly around holiday time, so it is the perfect way to dress-up the spaces of your home during this very special time of the year.